After reaching its maiden European Championships Wales was at a crossroads: return to qualification also-rans or become regular attendees at the tournament top table. Failing to reach its first World Cup in sixty years does not prove either; but for the latter to happen Russell Todd argues there is an international benchmark that is closer to home that we like to admit. The pain of defeat to Ireland for some remains raw. And though for many ’77, ’83, ’85, ’93, and ’03 will be rawer than the recent qualification failure, fans are right to be extremely disappointed with a third place finish in a relatively easy group for which Wales were top seeds and in which they let slip five leads in four games. 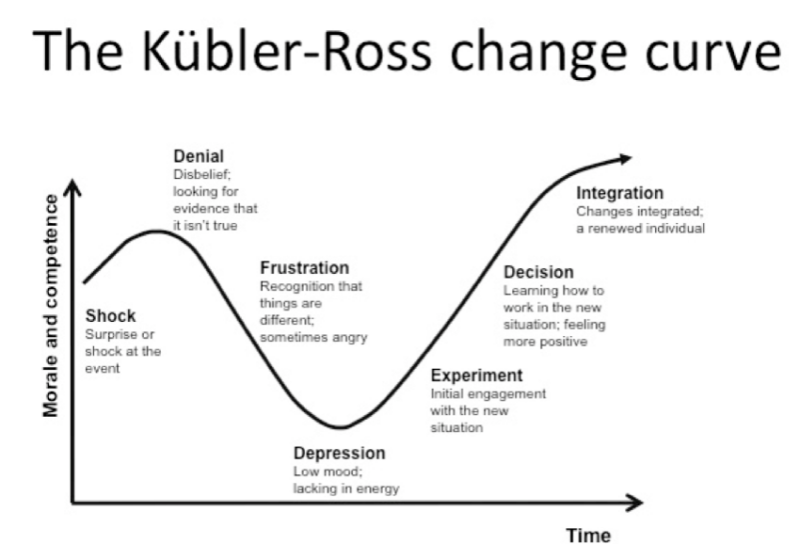 Wherever you are on the grief curve – and, rest assured, expect a regression when Ireland play Denmark in this month’s play-offs, and certainly when Russia 2018 kicks off next June – console yourselves with the fact that the failure of ’17 is different to its predecessors. As we discussed in podcast 62 the failures of, in particular, ’93 and ’03 belied weak foundations, poor planning and a well of talent that was running dry. 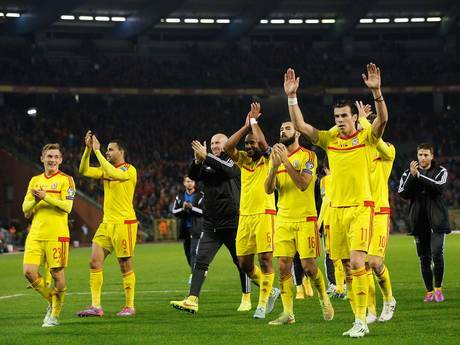 In addition, in both years the FAW badly managed the position of manager. Yorath’s request for a modest pay rise was rejected after the Romania defeat (which had been put in sober context with the death of John Hills from Merthyr Tydfil on that fateful night) and was followed by a toxic, public fallout. Hughes continued for almost another year despite publicly courting high profile EPL jobs and making little provision for long-tem planning and the succession of younger talent to replace an ageing squad. 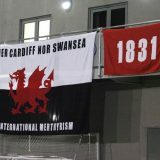 The FAW is a completely different beast now: slimmer, younger, more professional, and more connected to the Welsh fan base. And though is always the risk of a fracture, expect Coleman’s contact situation to be handled much better. At that time, as Wales was continuing to shoot itself in the foot campaign after campaign, another country finally made a tournament breakthrough after a similar catalogue of near-misses, bad luck and failure. 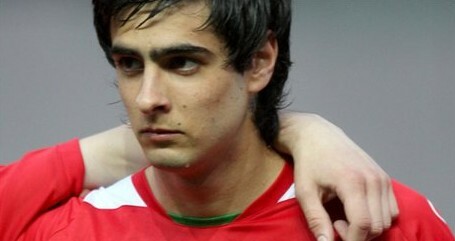 That country, where the round ball was culturally marginal and whose indigenous football infrastructure was semi-professional, subsequently built on that initial breakthrough by continuing to plunder talent from beyond its borders; reinvesting tournament income into facilities and coaching; and constantly evolving squads from positions of strength as a core of players went on to win over 100 caps. That country should serve as Wales’s benchmark; it provides a road map for Wales if we aspire to become routine qualifiers rather than once-in-a-blue-moon participants at tournaments. Ireland’s near-miss for World Cup 82 qualification is Wales-esque in its agony, missing out on goal difference to a France side that was nearing its mid 80s pomp. Ireland’s Euro 84 and Mexico 86 campaigns saw them ultimately run out of steam in tough groups. Eoin Hand stepped down as manager and was replaced by the inimitable Jack Charlton. Despite starting the Euro 88 qualification campaign with only one win in the first four games, thanks to a late Scotland winner in Bulgaria, the Irish reached their maiden international tournament (notwithstanding a 1964 European Championships quarter final) as one of only eight nations to travel to West Germany. In terms of impact for Wales at Euro 2016, read Ireland at Euro 1988. A smaller, tauter tournament however saw the Irish exit at the group stage. But they beat England – Ireland’s Stuttgart playing the part of our Bordeaux – drew with the Soviet Union thanks to a wonder volley from Ronnie Whelan and came within seven minutes of the semi-finals in a 0-1 defeat to the eventual champions, The Netherlands. Unlike Wales, Ireland were able to build on their inaugural Euros appearance by comfortably finishing second in their group, behind Spain, to reach their first ever World Cup. This was despite being in only the fourth pot of five in qualification (one below Wales incidentally) with the likes of then-minnows Albania, Iceland, Greece and Finland. Again, Ireland were drawn in a finals group with England and The Netherlands, along with Egypt. Not unlike of late in Cardiff, Ireland were more resolute than rampaging, more organised than audacious with a limited game-plan that was complemented by a tedious group in which only one game didn’t end in a draw. A fourth successive draw in the second round against Romania, was converted to victory on penalties, before Ireland exited in the quarter finals at the hands of hosts Italy. Despite the success in West Germany two years earlier, it is Italia 90 that is cited as the moment when the ‘garrison sport’ of football became openly popular. A truly international sport, unlike rugby union or the Gaelic games, in which Ireland finally tasted sustained success after so much failure and disappointment. 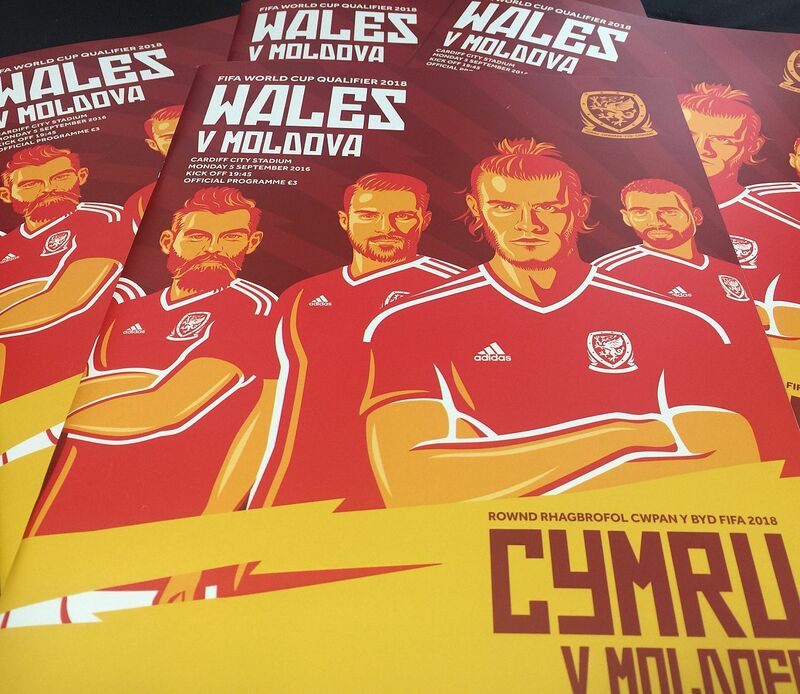 There is a parallel with Wales here and how the national team has moved out of the shadow of its oval ball cousin; in fan culture terms, moved out from the underground and gone mainstream. International footballing success can be heady and intoxicating and re-configure previous norms and priorities. Even if it does not completely erase the memories of previous failures, it can, temporarily at least, make them hazy. But in rugby union and Gaelic games Ireland competes on an all-Ireland basis; football is the only sport in which partition of the northern counties is reflected. When the Gaelic Athletic Association was founded in 1884 one of its core aims was to promote indigenous Irish games at the expense of “English” games like association football and rugby union; the GAA even banned its members from playing and watching the “foreign games”. Following partition both football associations on the island claimed to represent the whole of Ireland until the 1950s, reflecting a power struggle between Dublin and Belfast that had long occupied the game’s administrators. But here too the Irish success in the late 80s and early 90s was important. Whereas a sizeable contingent of UK-born players and an English manager, Ireland’s first from outside the Republic, might have re-enforced the sport’s ‘Englishness’, Jack Charlton’s team offered people a symbol that could be embraced in many ways. Charlton himself was largely ignorant of Ireland’s divisions, and it helped that there were Scottish and – via Kevin Sheedy from Builth Wells/Llanfair ym Muallt – Welsh born players to complement the ‘Anglos’. When the team was entertained during Italia 90 by the Pope, the more religiously devout were sated. And though nationalists in Northern Ireland had begun to vicariously express their all-Ireland desires and identity though following the Republic, non-Catholics south of the border could be patriotic without the baggage of religious, sectarian and the armed conflict in the north. The team began to be many things to many people. Wales has not had to contend with deep sectarian and political divisions but, again, there are parallels. The Rugby World Cup in 1999 was an obvious touchstone for a newly-devolved nation to proclaim itself on a global stage augmented by the brand new Millennium Stadium. 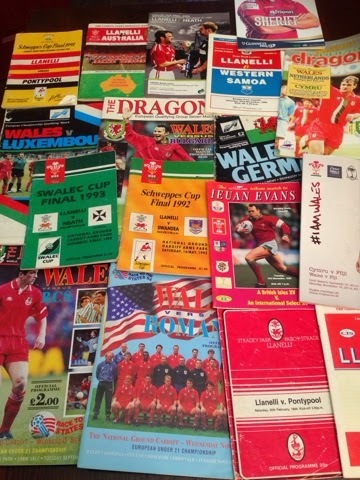 But perhaps a more meaningful parallel was by the time Wales’s limited self-determination was taking its baby steps in the 2000s, the Welsh Football Trust had altered how football was coached at grassroots level that provided the roots for a crop of talented youngsters blooded by John Toshack and Brian Flynn, and which has flourished in a ‘Welsh Way’. That the qualification failure of 2017 is not as raw as previous failures is because we recognise that the foundations are in place. A conveyor belt of talent – yes, a sizeable amount of it born in England – is in place and so we remain confident that Euro 2016 will not be a flash in the pan like 1958 was. Euro 88 and in particular Italia 90 was the swansong for a core group of established Irish players: Stapleton, Bonner, O’Leary, Whelan, Sheedy. As these retired, or were pushed out of the squad, the likes of Staunton, Townsend, Phelan, Babb, Harte, Carr and Irwin replaced them. Galvanising them all was Ireland’s first world class player in a generation: Roy Keane. All successful teams, as we well know, must have their totem. After Italia 90, Ireland failed to qualify for Euro 92 despite being unbeaten in qualifying but reached USA 94 where they memorably beat Italy. Constant qualification did not follow but neither did Ireland return to being qualification also-rans. They also complemented senior success with success at youth level. 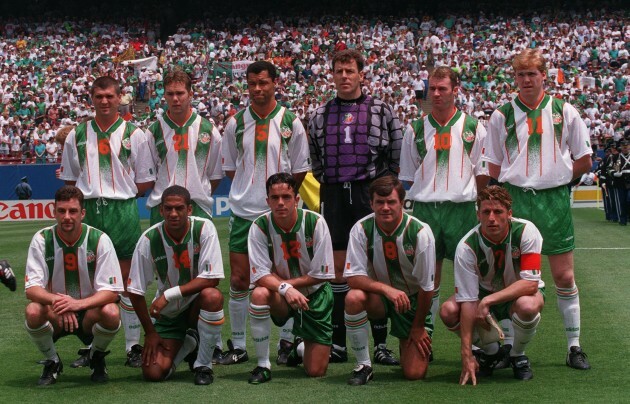 Many readers may not realise that in 1997 Ireland came third at the under 20s World Cup and the following summer were European champions at both under 16 and under 18 level, beating Italy and Germany in the respective finals. Even if few of the u20 and the u18 side went on to better things, new generations of players, having tasted international age-grade success, continued to come through; several of whom went on to win 100 caps or more: Given, O’Shea, Robbie Keane, Kilbane, Duff. It’s a tally that is still two to three seasons away from a Welsh player even making for a first time. In the 15 European Championships and World Cups since, and including, Euro 88 Ireland have played in six of them and missed out in the play-offs four times. That’s a two in three rate for reaching the final qualification hurdle in an almost 30 year period. With, of course, another play-off beckoning. It even seems more than a coincidence that in the same way Ireland began to be invited in invitational tournaments in the 1990s, since Euro 2016 Wales have been invited to the Toulon Tournament and appear to be on the cusp of taking part in a Chinese invitational event. So, how does the following sound? Sustained competitive effort in qualification over a generational period. Regular tournament appearances. 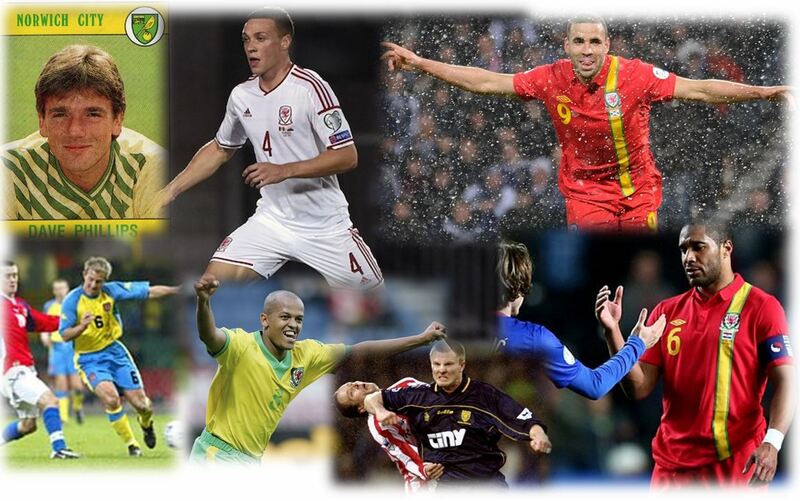 A rich seam of talented, patriotic, homegrown-or-otherwise players. Exotic invitational appearances. A glut of cap centurions. Sounds pretty good to me and I am confident that it is the trajectory Wales are already on, but perhaps we are only at the outset. As much as it might presently pain us to admit, to establish recent success as the norm Ireland should be our yardstick. 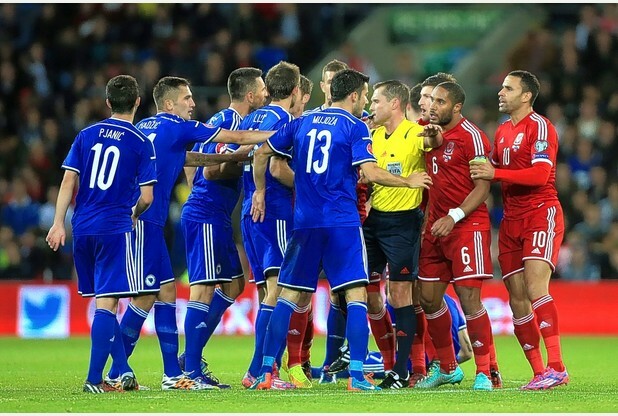 Is Welsh international football – finally – about to go mainstream? Previous story Podcast / Podlediad #62: Fine margins or failure?